PLEASE VOTE FOR SHAX in MAKING ENDS MEET! SHAX needs your help – please for us in Dumfries and Galloway Council’s ‘Making Ends Meet’ community vote. If successful, SHAX will support more homeless people/those in poverty through our emergency Starter Packs – basic household essentials to help make a home and avoid debt. If you’re are over 12 and have a DG1, DG2, DG3 or DG4 postcode, please CLICK HERE – look for the login box (top right) then sign up. 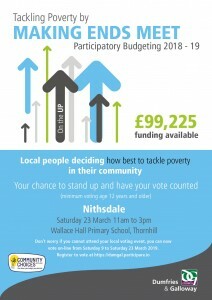 Voting is ‘live’ from March 9 until 3 pm on March 23rd. Voting is 5 downwards, so your favourite is 5, second favourite 4, down to 1. Thanks for your support! SHAX SAYS THANK YOU TO OUR FUNDERS! 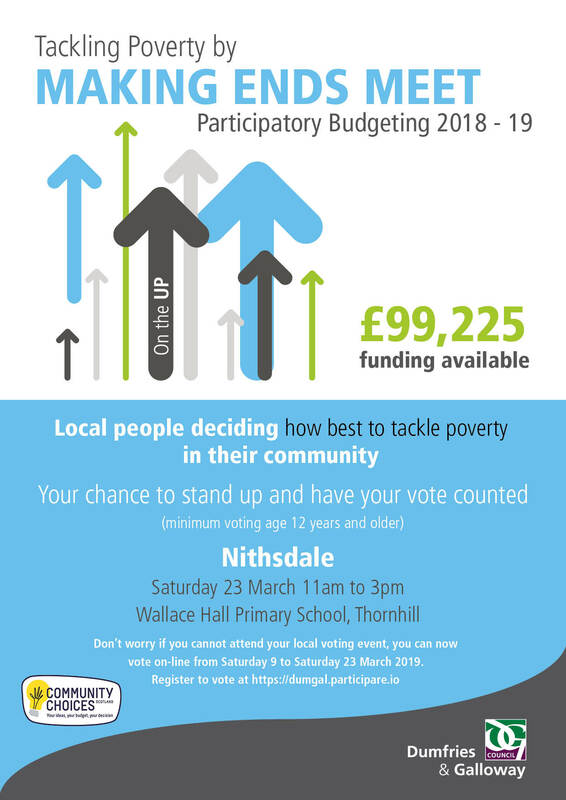 Nithsdale Area Committee awarded SHAX £10,000 towards our running costs in 2018/19, acknowledging the service we provide to people in crisis and supporting their anti-poverty agenda. We’re very grateful for this support. We’re very grateful to The Holywood Trust for their grant of £20,000 towards our running costs in 2018/19. This will help us support young people in crisis and provide worthwhile volunteer and work placement opportunities. SHAX gratefully thanks Nationwide Building Society for their award of £5,000 to buy emergency Starter Pack items. 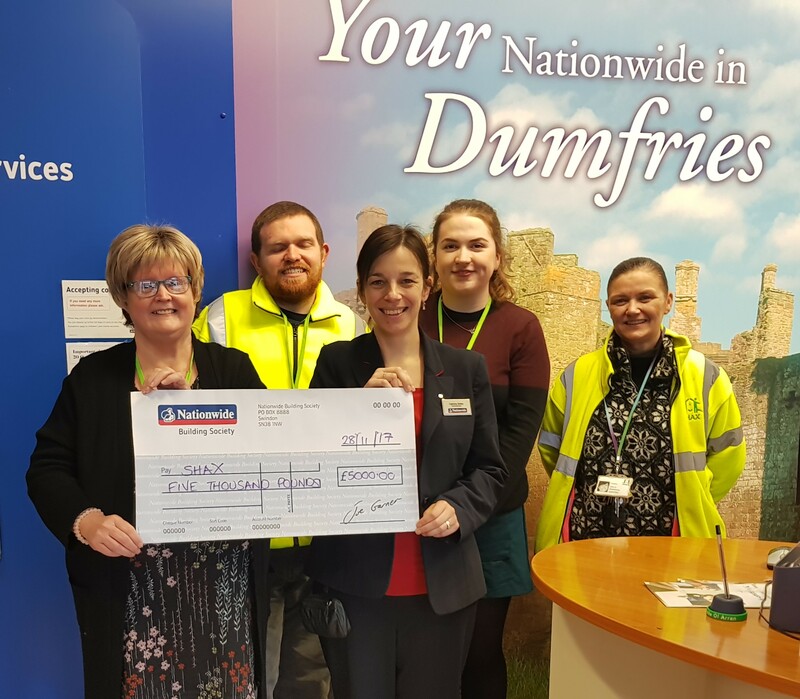 Our special thanks go to Katrina and her team at Nationwide Dumfries for all their help too!